One night per week, recreational sport tour league for those who identify as female. Sign up with a team of six or more, or as a free agent. You'll be participating in a different sport/activity every week and you won't know until you get there. Check out the schedule (above) to see when you can drop in to our Gymnasium at College Drive or at Commerce Court to participate in non-structured sport. All you need is athletic gear and your student card. Open to all students. One night per week, co-ed recreational volleyball league. Sign up with a team, or as a free agent. Open to all students. One night per week, co-ed recreational all-gender basketball league. Sign up with a team, or as a free agent. Open to all students. One night per week, October to March, co-ed recreational all-gender Rec Hockey league. No contact or slap shots permitted. Sign up with a team or as a free agent. Open to all students. A fun way to spend a Saturday afternoon. 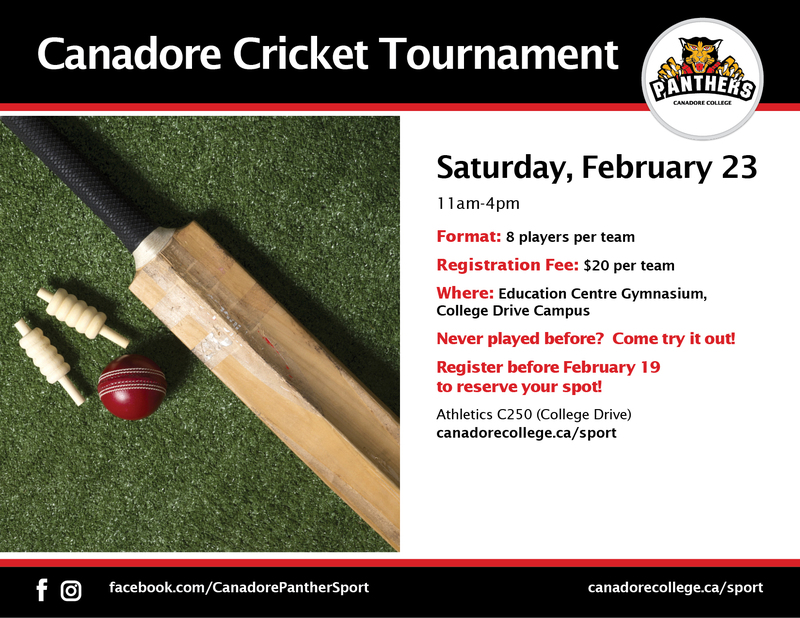 Join us in the Education Centre Gymnasium with a clever team name and a roster of five. Eliminate the competition, or eliminate their targets. Soft tipped arrows, bows, and face masks provided. Two Divisions: Fun and Competitive, join with two friends or as a free agent! Awesome prizes. Canadore will be hosting its own skill testing three-point competition. Open to all. Start practicing!